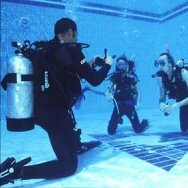 Learn to be a Scuba Instructor the "SSI Way." 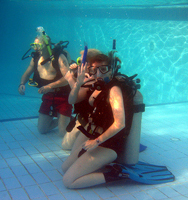 Most instructor programs focus only on teaching diving. However, most dive businesses require much more of instructors than merely teaching. The SSI Instructor Training Course (ITC) prepares you to become an active member of the scuba industry, a successful educator and a valuable dive business employee. SSI Instructors possess business knowledge that instructors from other agencies don't. The expanded course content of the SSI ITC gives you an edge over "teaching only" programs and makes you a much more valuable, well-rounded employee. SSI Instructors represent the best of both worlds. You are trained to use the award-winning SSI Teaching System and you are trained to be a skilled educator. SSI Instructors are able to conduct the Universal Referral Program. This program allows you to complete referral dives through six different agencies: IDEA, NASDS, NAUI, PDIC, SSI and the YMCA. This is particularly valuable to resorts that receive customers affiliated with various certification agencies. What Else Can You Teach? SSI Authorized Scuba Schools and the New Instructor. As a new Instructor, your first few classes can be a little intimidating. When you work for an SSI Authorized Scuba School, you are teaching in an established scuba school with experienced instructors. They can assist with your first few courses and they have a wealth of knowledge to help you progress. By the end of the course, candidates must have current training in CPR and First Aid and logged 100 dives or more. The Instructor Training program consists of 60 to 100 hours of classroom theory, practice teaching presentations, observations, water work in pool and open water, and examinations. As a final step, Instructors must pass an Open Water Instructor Evaluation, conducted by an SSI Instructor Evaluator or Certifier. The program requires a variety of SSI diver and instructor manuals, videos, dive tables, DiveLogs and study guides. 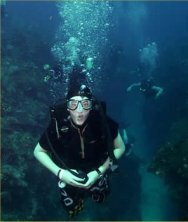 Upon graduation, SSI Open Water Instructors are authorized to conduct the Open Water Diver, Scuba Skills Update, Try Scuba and Snorkeling courses. They can also attend an SSI Advanced Open Water instructor course. To maintain active status, Instructors must be affiliated with an SSI Dealer and have current insurance.